Just a little while ago we had the exciting opportunity to teach a group of adults about reducing water waste at home. Some of our tips included things like fixing leaks promptly, reducing time in the shower, and using tools like a toilet dam to reduce the water waste. We’ll be posting an article about all of that sometime soon, but the things we are the most eager to share are the ways you can reduce water and energy waste while doing laundry. We all love our laundry machines. That wonderful electricity-powered invention from the 20th century saves us from the arduous task of hand-washing our clothes. Like many things though, our washing machines can create a lot of waste if not used correctly. If you’re buying new appliances, make sure you are getting energy-efficient ones. Whether you have energy-efficient appliances or not, you can still use these tips, and tricks to help you reduce waste and keep the environment as clean as your clothes. Tip #1: Use Cold Water! If you’re looking for a way to be more environmentally-friendly in your laundry room, the biggest thing you can do is switch to using cold water. 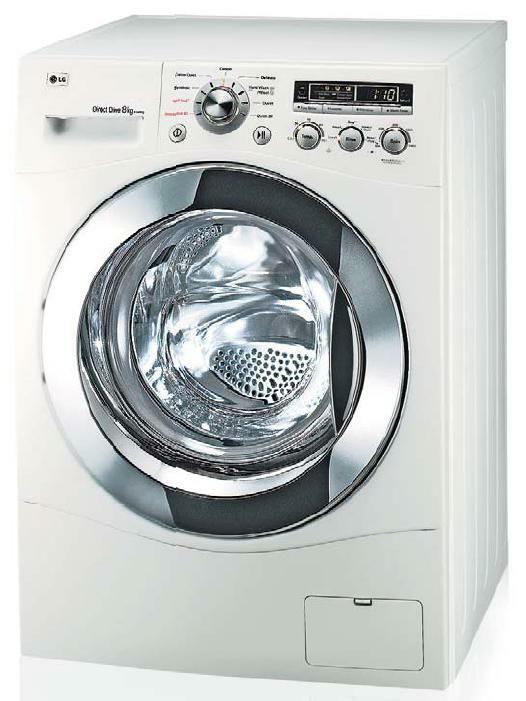 Almost 90% of the energy used to wash your clothes goes to heating the water. While some people worry that washing in cold water will not remove the dirt from their clothes, most of us do not soil our clothes to a level that requires hot water to wash. Cold water laundry detergents have been formulated to get your clothes just as clean with cold water. While dryers are convenient in their ability to have a load done in an hour, they hog a lot of energy and actually break down the fibers in your clothing. You can see how much damage it does every time you empty your lint filter, as that lint used to be a part of your clothing! There are many options for drying your clothing that is better for the environment, your energy bill, and your clothing. Indoor or outdoor clothing racks come in a variety of sizes and styles. The best indoor ones are collapsible, and sturdy enough to support the weight of wet clothes. While they may take up space in your living room, back yard, or balcony, they make up for by using free sun and air, rather than electricity. There are a lot of DIY options for laundry. One that we showcase at EcoHouse is the Laundry Pod, which is a small, hand-cranked laundry machine. It uses only 5 litres of water (compared to up to 125 litres for some washing machines!) and uses your arm-power for energy. While it probably isn’t the best choice for large families, it is a very handy tool for small loads or delicate pieces. Instead of running your washing machine with only a few t-shirts or pants in it, you can give this guy a try. Another thing you can do is make your own powdered laundry soap. The recipe we have here costs about $0.09 per load, while other laundry detergents go for up to $0.59 per load. With ours we know exactly what goes into it, and we can customize the scent. Give it a try! Use a very fine grater to shave the bar of soap into small flakes. Mix well with Borax and washing soda until you achieve an even, fine mixture. Add essential oils and mix well. Store in a labeled, air-tight container. This recipe makes approximately 32 ounces of detergent; use one tablespoon (most loads) to two tablespoons (large or heavily soiled loads). Before adding the soap to your cold-water loads, mix the detergent in a container with some hot water until it dissolves. Bar Soap is the most crucial ingredient, as soap gives the detergent its cleaning power. Several recommended brands to use include Kirk’s Castile and Dr. Bonners. Borax, also known as sodium borate, is a naturally occurring mineral that acts as a whitener and deodorizer. Washing soda should not be confused with baking soda (sodium bicarbonate), as washing soda is sodium carbonate, also known as soda ash. It is available in the laundry section of the grocery store or in pure form from pool supply stores as sodium carbonate. It helps to remove dirt and odors, cuts grease, and removes stains, disinfects, and softens water. You can also add some of your favorite oil essence to give a nice fragrance to your detergent. Recommended amounts are one to two drops per load. Tea tree oil has the added benefit of acting as a disinfectant, so it’s great for washing cloth diapers, hand towels or linens from a sick family member. Eucalyptus is great for preventing dust mites. Lavender smells wonderful, and is very relaxing. The next time you go to run a load in one of our favourite labour-saving devices, try one of these things to green your cleaning machine! My eco-friendly laundry routine counts on ceiling fans. I hang clothes on racks overnight, and except for a few really humid nights and some extra heavy clothing, they are always dry by morning. I am told ceiling fans use very minimal power, and they sure do shorten drying time!